Joanna Herr–award winning photojournalist with over 35 years experience. is an award winning photojournalist with over 35 years of photographic experience. 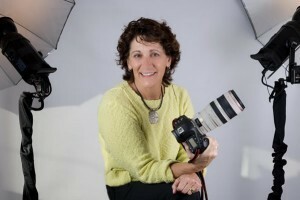 Eleven of those years were spent with her hometown newspaper in Lancaster, PA. Joanna has been a California resident since 1981 and her studio, Herr Photography, Inc. is located in North County, San Diego. Joanna has been recognized for her ability to create images with a minimum of direction while paying great attention to the details. The philosophy of “Giving back” is vitally important to Joanna. She serves on the Board of ‘From Chrysalis to Wings’, donating her time and materials to provide glamour photography to women fighting breast cancer. She frequently offers portrait packages as fundraiser prizes, and she also works with military families and personnel every month, donating her time to provide them with low-cost family and newborn portraits. Joanna was awarded The Outstanding Community Involvement Micro Business Award and the Excellence in Customer Service Award from the San Diego Regional Chamber of Commerce. 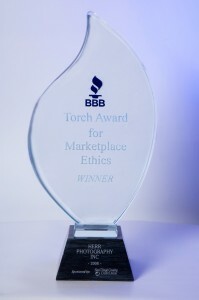 Joanna was also awarded the Better Business Bureau Torch Award for Market Place Ethics, an award that she is extremely proud of. Joanna is a member of the San Diego Convention and Visitor Bureau, San Diego Regional Chamber of Commerce, San Diego Better Business Bureau, Women’s Global Network, National Association of Women Business Owners, International Special Events Society, Women in Creative Photography and The Society of Sport & Event Photographers.